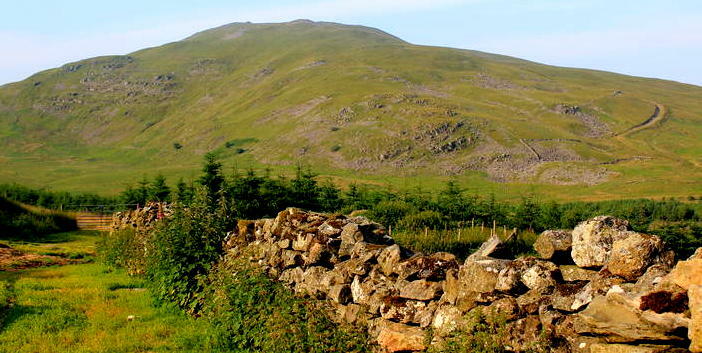 In the wild and lonely hills of Arenig Fawr it difficult to imagine how many people lived up there once upon a time . 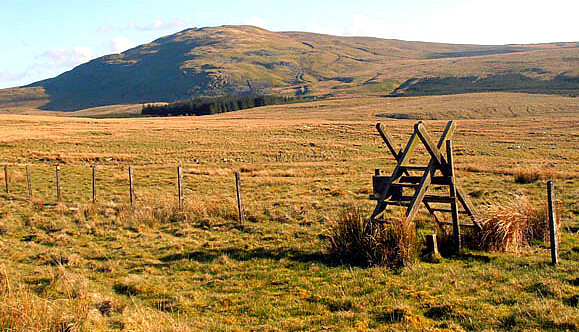 The Arenig Fawr uplands archaeological survey was undertaken in 2010 by the Royal Commission for Historic Monuments in Wales . The burial cairn Moel yr Eglwys – the bare summit of the church must once have been very impressive before it was robbed of it’s stones for a modern shelter . The believe was – and still is in many areas that these mounds are the home of the old people and the fairies and should never be disturbed. There is no end of treasure hidden in the mountains of Wales, but if you are not the person for whom it is intended, you will probably not find it. Even if you do find it, you will not be able to secure it, unless it is destined for you. There is a store of gold in a hillock near Arenig Lake, and Silvanus Lewis one day took his pickaxe and shovel to find it. No sooner had he commenced to dig in earnest than he heard a terrible, unearthly noise under his feet. The hillock began to rock like a cradle, and the sun clouded over until it became pitch dark. Lightning flashes began to shoot their forked streaks around him and pealing thunders to roar over his head. He dropped his pickaxe and hurried helter-skelter homewards to Cnythog. Before he reached there everything was beautifully calm and serene. But he was so frightened that he never returned to fetch his tools. Many another man has been prevented in the same way from continuing his search. Similar stories are found over Wales . 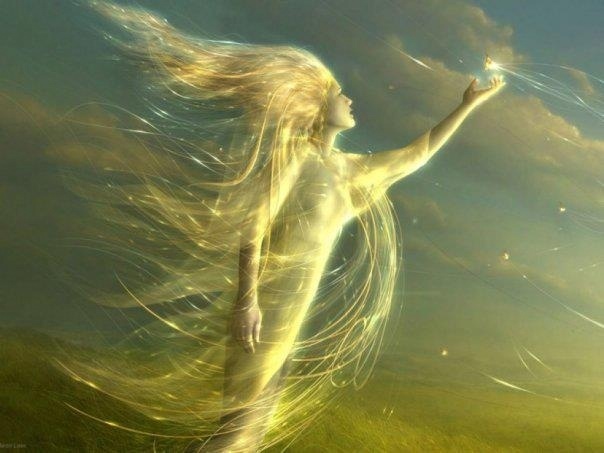 It’s said that a woman guards the gold treasure which stil lies hidden on Moel Arthur in the Clwydian Range . Woe betide any antiquarian who she catches trying to dig her treasure up ..and quite right too . This entry was posted in Uncategorised on 15th Dec 2014 by Llangollen , Corwen and Dee Valley.